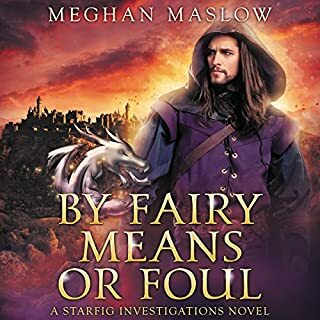 But soon after his return, Sam learns of a resistance fighting in his name, led by a courageous knight, a defiant prince, a pissed-off unicorn, and a half-giant who wants to smash everything in sight. If he has any hope of defeating the villains who have taken their home, Sam must face the consequences of his choices - and the friends he left behind. One of the best series ever. Seriously. This is one of the best series I have ever read, and certainly one of the best narrations I have ever heard. 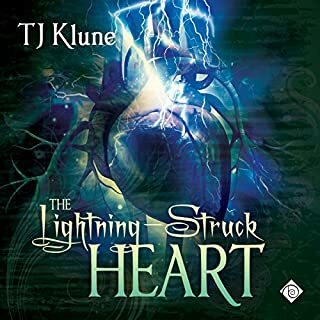 The books are clever and funny, and from the start of The Lightning Struck Heart, I was immediately invested in the characters and their stories. The books are also tragic and heart wrenching and every other thing a story needs to be satisfying. Michael Lesley is an incredible narrator who truly gives each of the characters a unique voice. This is the final chapter in Sam's voice. If you don't know who Sam is you have to start at the beginning. It's over!!! So sad, was a great book, narration was amazing like always.. This book gives me a feeling of loss, knowing it was the last, as this series was absolutely amazing and do not wish it to be over. This is an outstanding book (and series). Michael Leslie's incredible talent is the perfect pairing for TJ Klune's Tales of Verania series. He gave me goosebumps. Literally. Made me laugh, and sob. The villian's voice is bone chilling, yet seductive. Amazing. 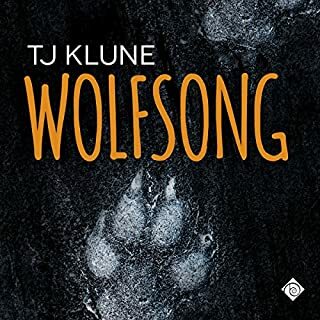 I loved this story but I would expect anything less from TJ Klune. He spins a great tale that keeps you engaged all the way through. But then to hear the story!! Michael Lesley does an amazing job with soooo many voices, sounds and yes even a song. The voices are so distinct you know who is talking. The emotions are felt. This is just an amazing performance and a definite recommend to all. Loved every second of this. I laughed cheered and was heartbroken when you know died. This book, like all his books, made me feel. Sigh! it was perfect. Best friends 5eva! Michael Lesley did an amazing job narrating this series. I don't know if I would have loved as much as I did if it wasn't for him. This is the last book in the series & I am saddened that it is over. But it did end perfectly. We pick up with Sam coming back after being gone almost a year and everyone is rather upset with him as he left with just leaving a note behind. He is back w/all the dragons. Verania has fallen, the king is the dungeon and Morgan is gone. We have the fight to retake Verania and overthrow Myrin. Along the way there are more shenanigans, the bad guys monologuing, a unicorn and his horn reunited, some surprises that I didn't see coming and the good guys saving the day. I love them all & will miss each and every one of them. I would love seeing Justin find his one and only as he so needs one. This series will be one that I go back to frequently. It's capitalized so it's true ;) no but seriously this book is great. It gives you all the feels. This final book did not disappoint. Everything about this series is just so excellently done. 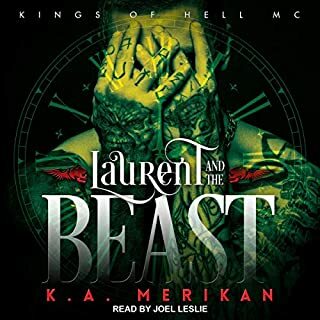 I read the other three books in the series via audiobook, but for this final book, I couldn't listen to it fast enough so switched between the audio and print book. I have loved this series, but this final book was perfection. So, so, so good. 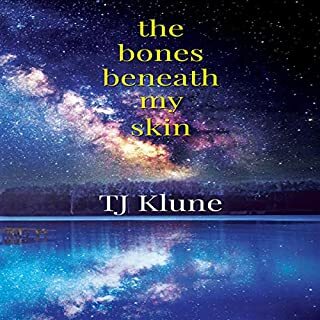 TJ Klune is just one of the best story-tellers around and he's found the perfect narrator in Michael Lesley for this series. The characters are everything and the two partner to bring them to glorious life. I've LOVED this series and highly, HIGHLY, HIGHLY recommend it. But you have to read all four books. This is NOT a book that will stand on it's own. Read the series...it's ridiculous and funny and is beyond anything I've ever read. But at the same time, it's heartfelt, sweet, and so romantic. Ryan and Sam...gah, I cannot love them anymore. In fact, there are so many characters in these books that I simply want to know in real life. I laughed out loud so many times and sobbed out loud a couple times, too. This series is just everything. And I highly recommend it on audio. Michael Lesley is KING OF NARRATORS!! Mr klune ,I wish I had you skill , I would retire from my current role and live the joy that is the written word. loved from start to finish, takes a lot for a book to make me laugh out loud this one and the others in the series did. Love everything about this series. Michael was excellent with the narration as always. Give this a listen, you won't regret it. 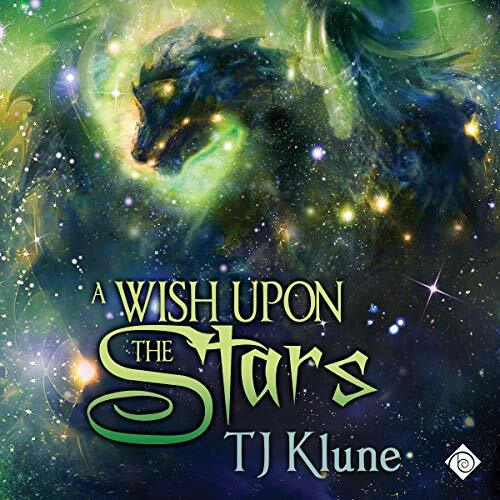 I love this series of books from TJ Klune and strongly recommend them to anyone. Unfortunately, I can't recommend the audio versions. Book 1 was OK but since book 2 the narration has become increasingly annoying. The narrator sounds permanently bored and unable to read full sentences without pausing for inappropriately long pauses, sighs or huffs. I understand it's supposed to embody the main character but it misses the mark by a mile and ruins the entire experience. Read the latest adventures and enjoy hours of love life laughter and drama! Another fabulous installment! 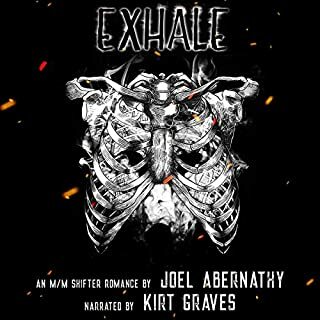 Listened to it twice already and still loving this book! When the lightening struck heart was first published I thought it was a whimsical funny story, light hearted and happy. And then came A Destiny of Dragons, then The Comsumption of Magic and now this the ending for Sam and his merry band of men... well for now. I have loved all these books in the series and this conclusion is just perfect. I think both the writing and narration are such a beautiful medley which diffo gives me heart banners. This is the final book in the Tales From Verania series and it was just amazing as the previous three! Michael Lesley really outdid himself with the narration in this book, as there are so many characters! And none of them sounded the same at all -- really easy to distinguish between them. If you're looking for a hilarious queer book, pick up this series ASAP! Michael Lesley rocks so hard. I've listened to a lot of Audibles and have liked some narrators very much. Michael Lesley is to the rest of narrators like Yoda is to Luke before he even knew about the Force was a thing. I can't really call it narration. He acted this book out with perfection. Every character had such distinct and clear voice of their own, I didn't need any help telling them apart. The sound effects were cool too. I laughed so hard, I was sobbing and in pain afterward. I had to rewind several times because I kept missing lyrics from laughing too loud. Actually, that happened several times during the book. Is there some sort of award for best narrator, because he should get it immediately. Also, I am now going to buy everything he's ever narrated - I don't even care what it is. I listened to this in one go. Yes - the whole 18 and half hours - including the ridiculous sound effect credits at the end. I can't imagine you actually need me to say that I recommend this. PS I was kidding about TJ bit. I love him too. The ability to be both funny and heartbreaking in the same sentence requires pure genius and he does it with seeming effortlessness. This author-narrator pairing is Blessed By The Gods. I capitalized that so now it's true. This is probably one of the most enjoyable series I have ever come across. Both the writing and narration constantly had me in stitches and the story arc is both gorgeous and escapist. I loved it.